Downtown Seattle from atop the Space Needle. 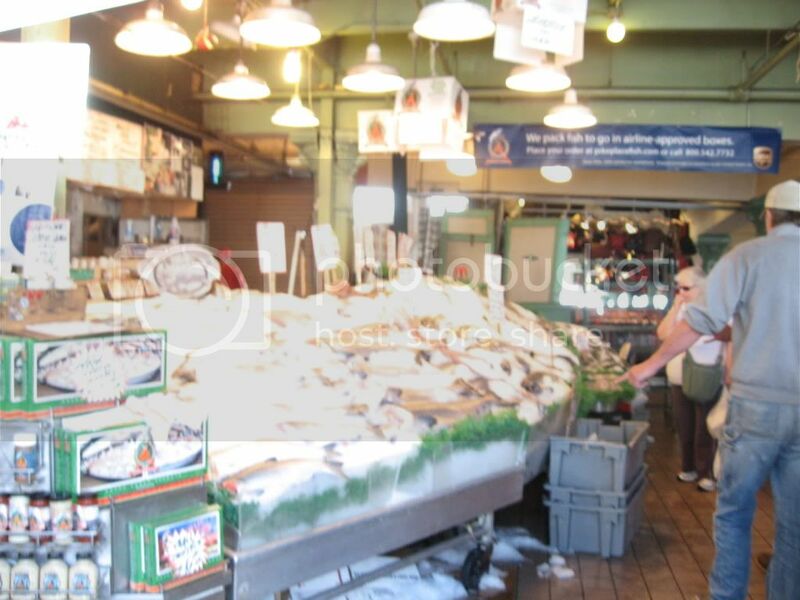 Fish at Pike Place Market...and boy, did they stink. I left my brother's place after he left for work. I grabbed a few things, and then did something important and overdue: preventive maintenance on my car. I brought it in to Jiffy Lube and had the oil changed and some other stuff done. The last thing that could afford was a vehicular failure, especially considering my distance from home and what I was about to put the car through. After that, it was clear sailing to Seattle - until I left I-5. I trusted the Garmin over the road signs to get me to Seattle Center, and that proved deadly, as I ended up going down what seemed like every under-construction street in downtown Seattle. Upon reaching the target, I took in some of the various things in the immediate area. At KeyArena, I paid my respects to the departed SuperSonics. It's a toss-up between the situation there and the Browns in 1995 as for the worst treatment of a city by a team owner. 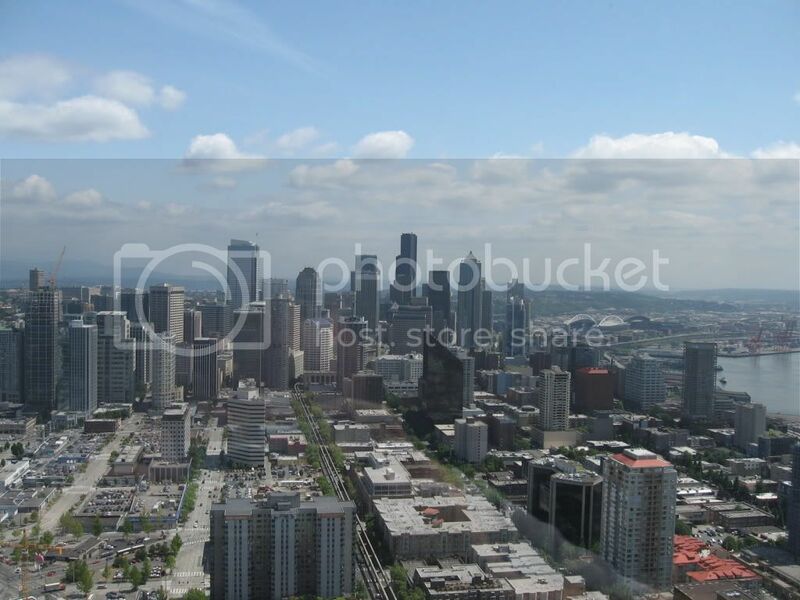 Of course, I went to the observation deck at the Space Needle and took in the views. I still give the edge to the Gateway Arch. While the Space Needle does offer a full 360 degrees, the higher Arch makes the view just a bit better.